These counter stools are truly one-of-a-kind. The seats are shaped by hand for tailored comfort using traditional machines and hand tools. 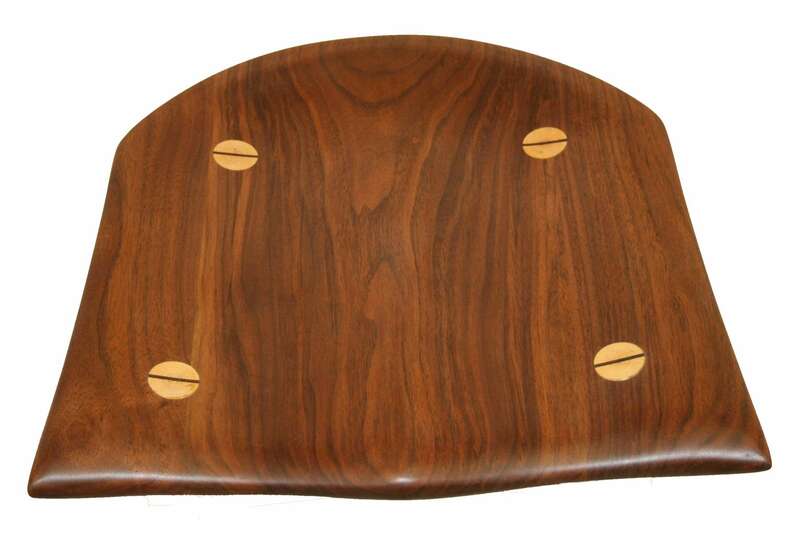 Walnut is most common for the seats, but cherry is also available. The legs and rungs are from maple saplings, peeled and polished. 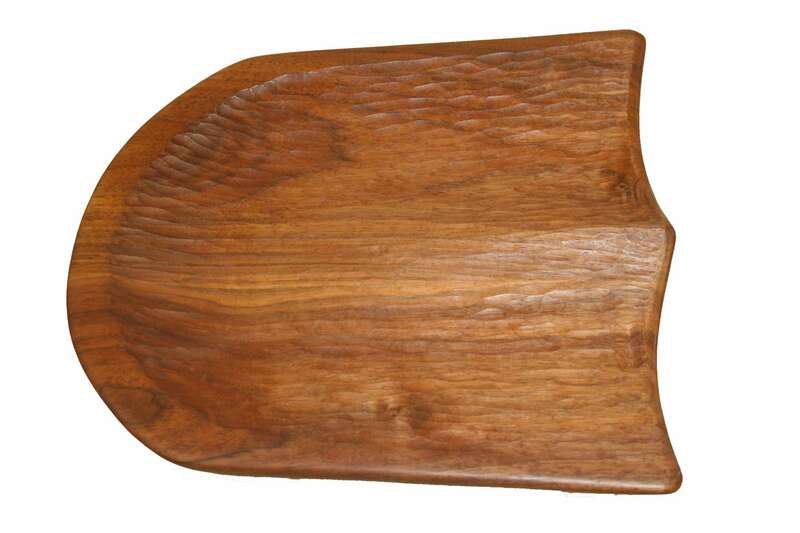 Hand shaped accents are made from walnut or cherry. 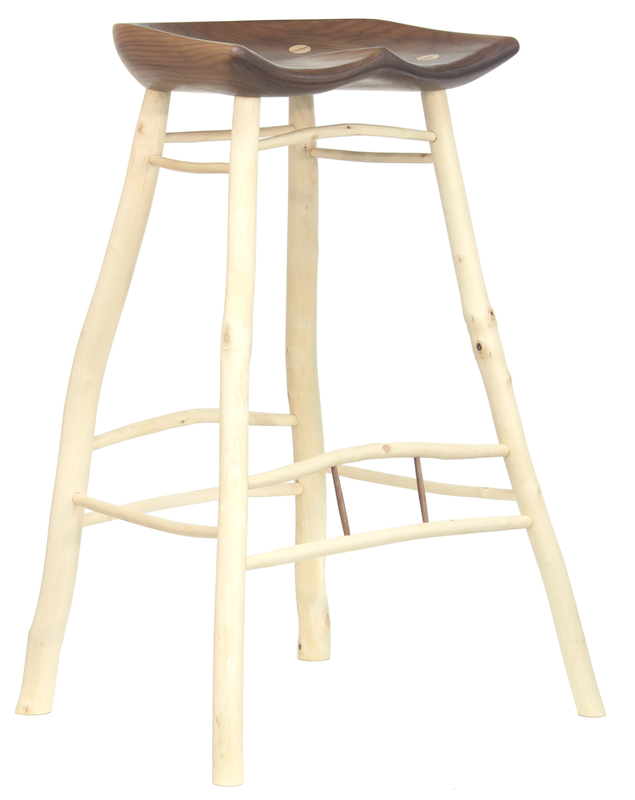 Custom stools can be made to any height as desired. 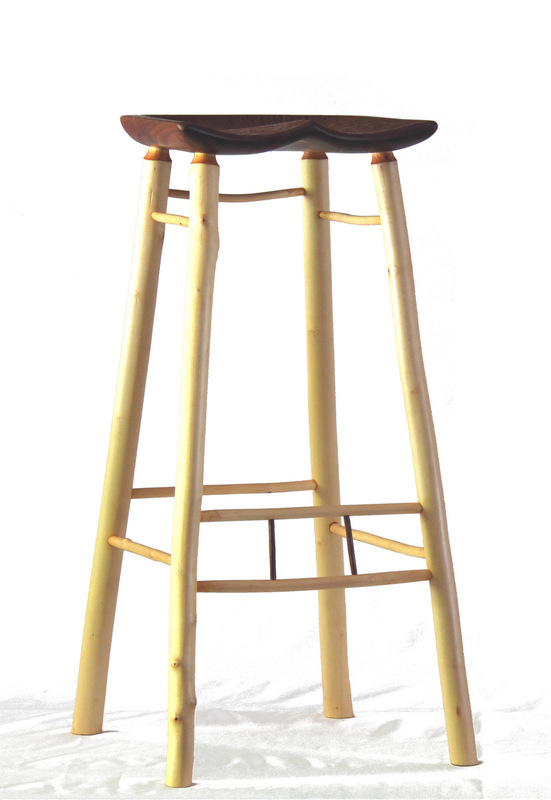 Lead times for these stools vary depending on quantity. Approximately 21″ X 18″ X 30″ high. 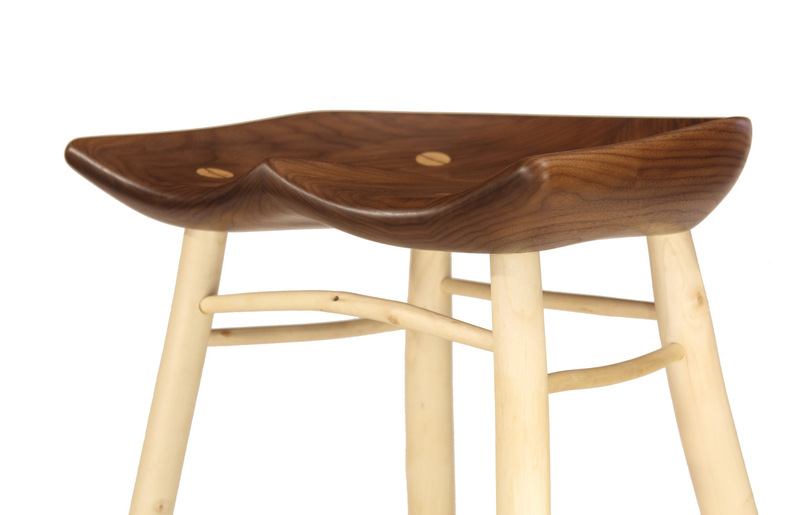 Walnut seat, smooth or gouge textured by hand; peeled and polished maple saplings. Wedged thru tenons or fox-wedged tenons. Tung oil finish.